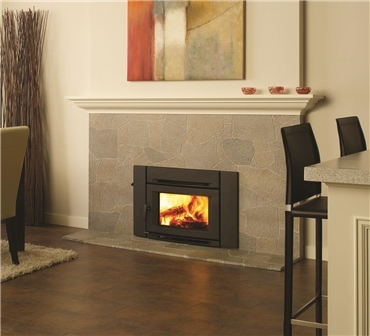 If you're looking for a modern wood insert for your small factory-built fireplace opening, consider the Regency Alterra CI1200. The sleek, modern front will fit with any contemporary room design. The heat-radiating ceramic glass delivers both maximum warmth and a stunning view of the fire within. The firebox is constructed without seams to maximize efficiency and heat output. The efficient construction of your Alterra CI1200 wood insert means that a single load of wood can burn for up to 8 hours. Use the form below to request more information on Alterra CI1200, and a Kastle sales rep will get back to you as soon as possible. Fields in red are required.